or that its use and implementation must be carried out directly from the top of the company (i.e management) to be really efficient and profuse through all activities of the firm. 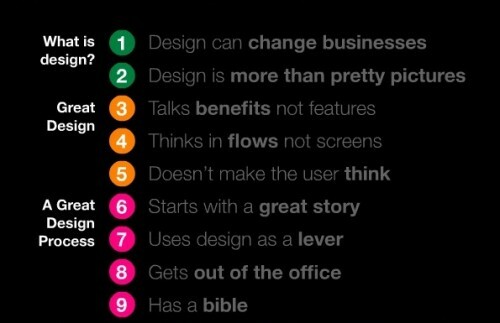 Thanks to OVA design, I have found just yet the slideshow that carries that very same message and describes the 10 things CEO need to know about design. View more presentations from Jason Putorti.